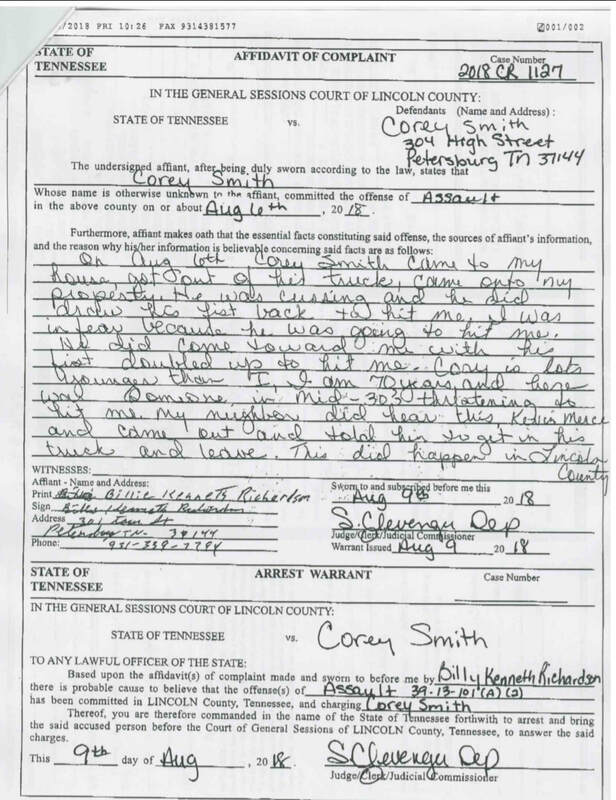 On Monday December 10 2018, Judge Andy Myrick dismissed the charges of assault against Corey in Lincoln County General Sessions Court. The prosecution failed to present evidence that an assault occurred. Therefore, since as Americans were are INNOCENT until PROVEN guilty, Corey was free to go! Thank you to everyone who has supported Corey throughout this ordeal! ​Corey Smith has called the Petersburg area home for 40 years. He and his wife have raised their family in the city limits of Petersburg since 2004. Petersburg TN is a small town on the county line between Lincoln and Marshall Counties in southern middle Tennessee. It is a quiet little town with a handful of businesses, a post office and several churches. Petersburg is also incorporated. That means it has its own municipal government. It is a town of approximately 500 residents inside an area of 1 square mile. The town is governed by a board of 7 aldermen. Those 7 aldermen choose a mayor and a vice mayor from among themselves. After serving 7 years as a member of the regional planning commission and 4 years as an alderman, Corey began to realize that there was no longer a need for the Town of Petersburg to remain incorporated. As Corey began discussing this with his neighbors, Town Hall officials and employees ratcheted up the derogatory remarks about Corey and his family. On Halloween of 2017, at the request of their 11 year old daughter who had just been diagnosed with Type 1 diabetes, Corey and his family hosted a block party for the community. Over 300 people stopped by to roast hot dogs, s'mores and enjoy a cold drink of water after a long evening of trick or treating. 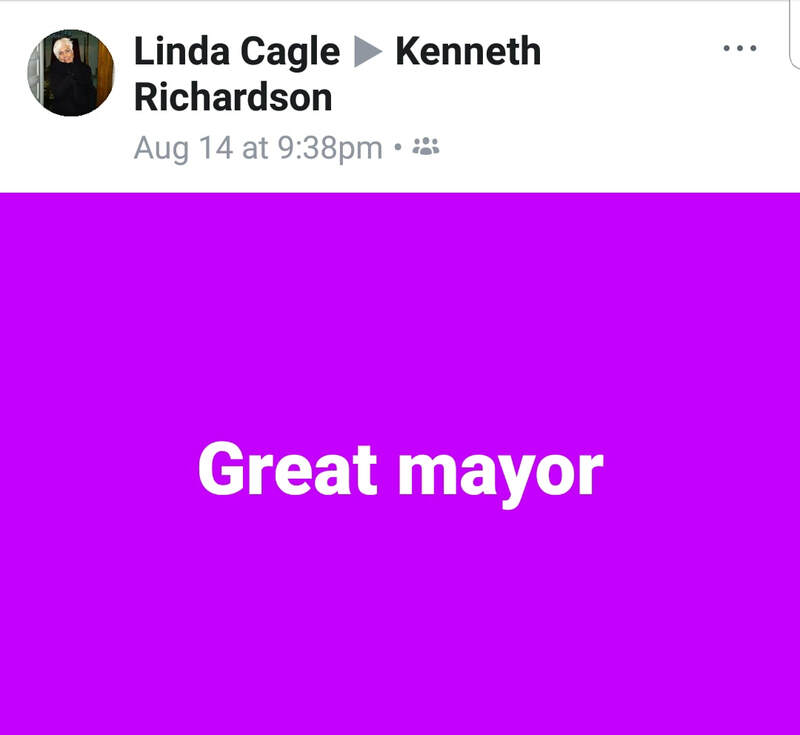 The next day, on city time a Town Employee took to Facebook to accuse the Smith family of lacing the food with a "potion". 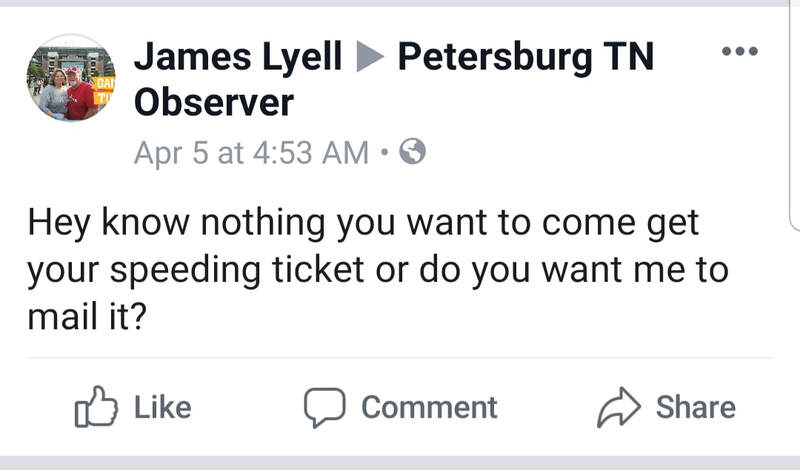 On November 15 2017, Corey paid his Petersburg Water bill with a bucket of loose change in an effort to let Town Hall know that their behavior would not be tolerated. As a result, under the orders of the mayor, a late fee was added to the water bill in retaliation for the bucket of loose change. 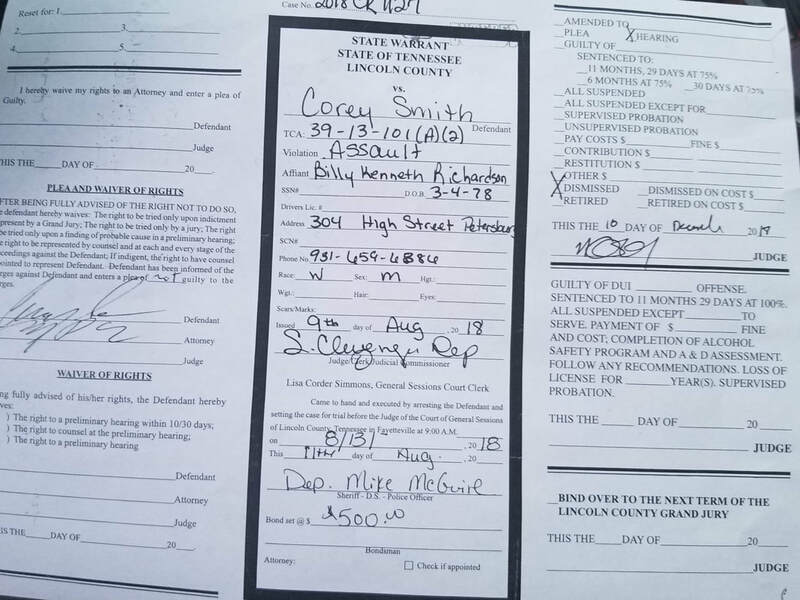 On August 11 2018, moments before his 4 year old daughter's birthday party, Corey was served a warrant for arrest for assault by the Lincoln County Sheriff's Dept. The alleged assault took place on Monday August 6 2018. In a recording of the incident, Mayor Richardson can repeatedly be heard calling Corey a coward and a loser all while challenging him to get out of the truck and engage in a physical confrontation. Corey now faces criminal charges and must defend himself in court against the tyranny of a corrupt small town government. SEE MORE UPDATES BY CLICKING HERE! 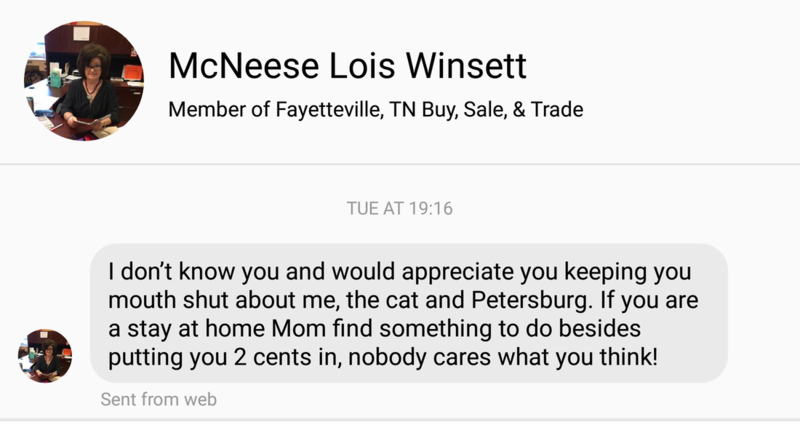 Lois sending texts to citizens. 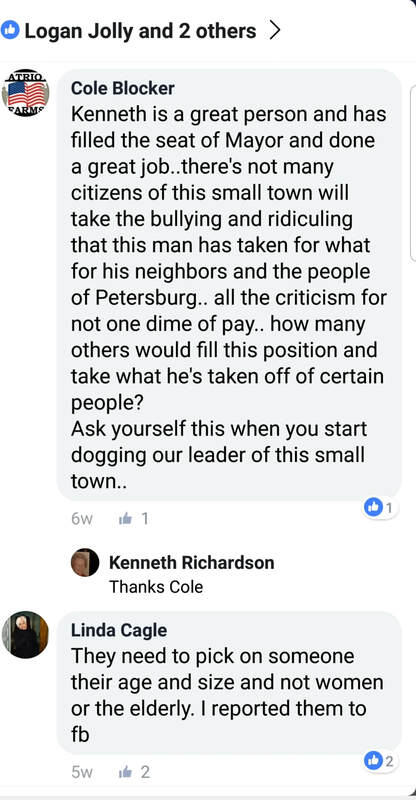 Want to see who is REALLY pulling the strings in Petersburg Town Hall? Hint: It is NOT an elected official! Does "Town Recorder" Chris Sparks even know where he works? Perhaps that explains why he has trouble showing up to meetings and why the water dept numbers don't add up! 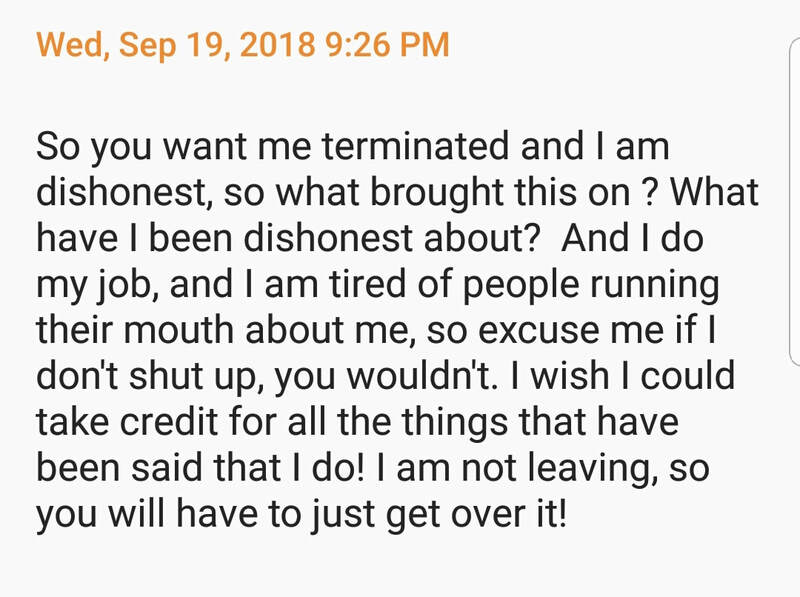 The swamp creatures all come to the defense of their own. What happens when you expose corruption? They report you to Facebook.